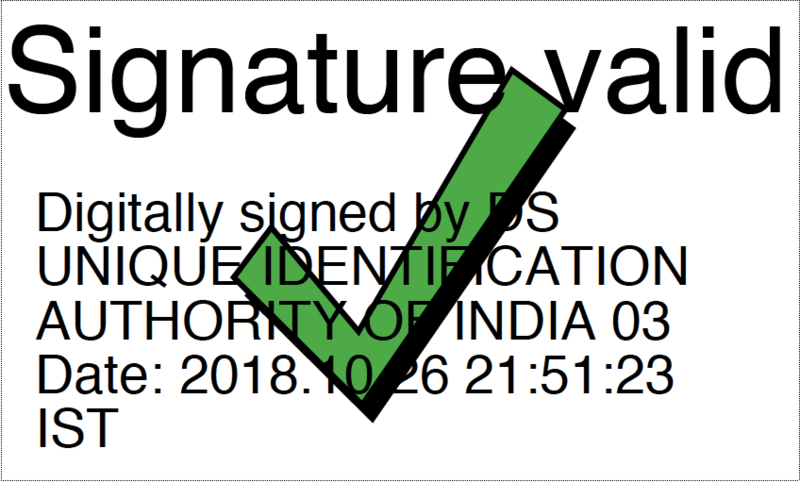 Do you want to Validate Digital Signature in Aadhaar Card? 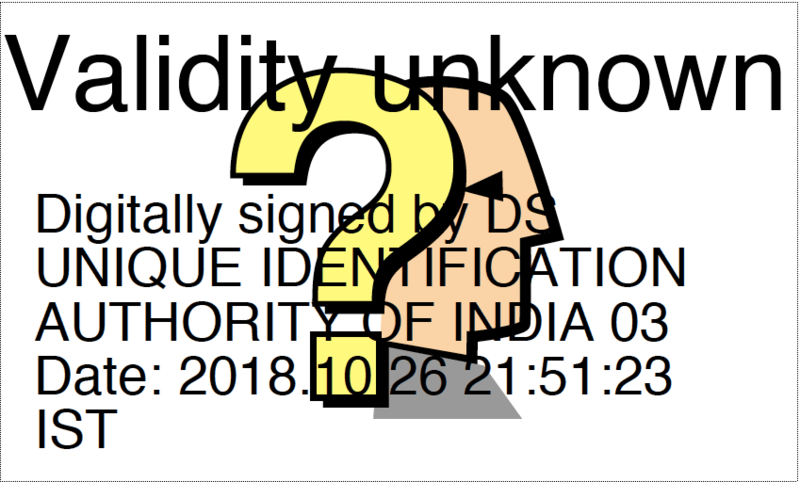 After Downloading your Aadhaar Card, it is important to validate its digital signature. Validated Signature ensures that your E-Aadhar Card is fully Authentic and Authorized. But the main question is How? Well, that’s what I am going to cover in today’s tutorial. Follow Me Step By Step. P.S. 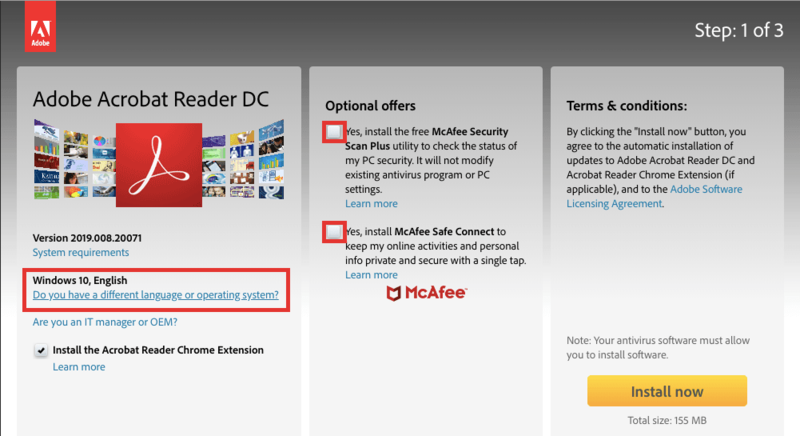 – If you Don’t Have Adobe Acrobat Installed in your PC, then First Read Steps to Download Adobe Acrobat Reader DC. It means that this Aadhaar Card Validity is not trusted. 3. Click on Question Mark and then click on “Signature Properties” Button. 5. The Signature Properties Box will appear, and in its Lower Middle you will see a Button Titled “Show Signer’s Certificate…” Click on it. 7. 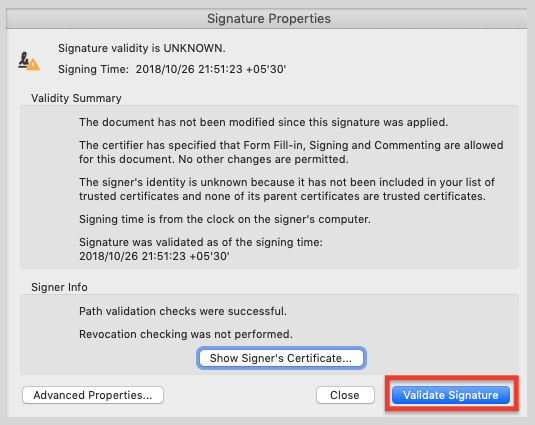 Then tick mark all the options and click on “Ok” two times until you see Signature Properties again. BOOM, your Question Mark will change to a Green Tick mark which means that you Validated Digital Signature in Aadhar Card. Note – After you Trust any Certificate, all the other files with the same certificate will be automatically Verified. It means you only have to Trust the Certificate for One time, and afterward every Aadhar Card you open will be automatically Validated. This process will work with Masked Aadhaar and Aadhar downloaded by Virtual ID. Validity Unknown in Aadhar Card simply means that the Your Aadhar Card is not a Verified Property, i.e., it cannot be trusted. For making your Validity Unknown to Verified, you need to Trust the Digital Certificates which come along with your PDF. Once you have Trusted the Digital Sign then it will turn into a Green Tick symbolizing Verified which means it is now a Verified Property, i.e., it can be trusted. You can Verify Signature in e Aadhar easily by following the process below. 2. Follow Steps for Digital Sign Validation in Aadhar Card If you have Acrobat DC installed then you can directly tap into the Second Step. 1. 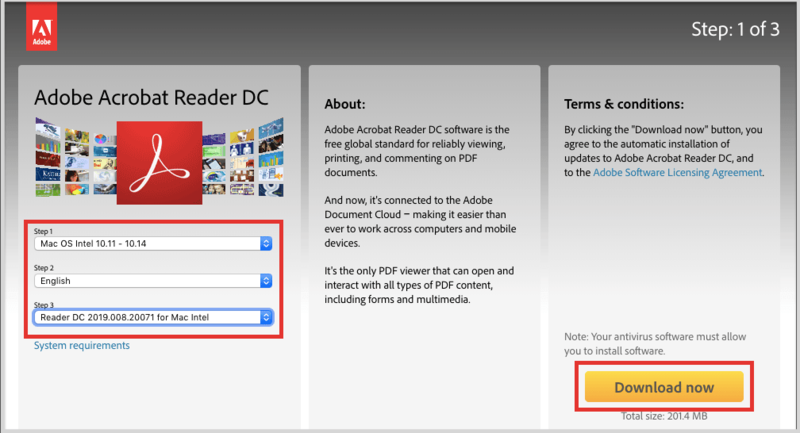 Go to Adobe Adobe Acrobat Reader DC download Page. 2. If you are running on the Latest Windows Version then Untick the two Boxes under Optional Offers and click Install Now. After Validating Digital Signature in Aadhar Card, You must print it straightforward. Because if you save the Validated card (In your Device) and open it in any other PDF Viewer(Expect Acrobat) then it will show that “Validity Unknown” like before. So it is always a wise decision to print Aadhar after Validation. To print the card Press Cmd + P on Mac and CTRL + P on Windows and choose the Desired Settings. Once printed you can further use it as a real Aadhar Card.